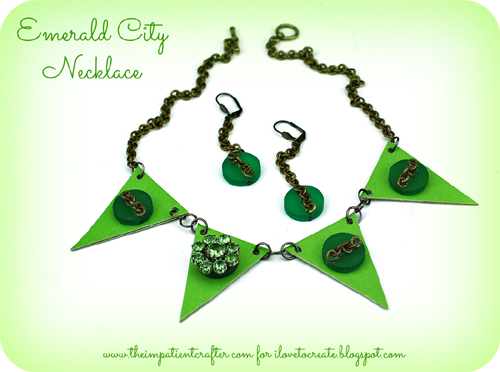 We loved Oz the Great and Powerful and of course, it has inspired a lot of new design ideas here at Studio Madge. This necklace is made of chipboard, which is a surprisingly durable medium. I wouldn't recommend wearing this in the rain, but you can make it water resistant with a coat or two of Aleene's Spray Acrylic Sealer. 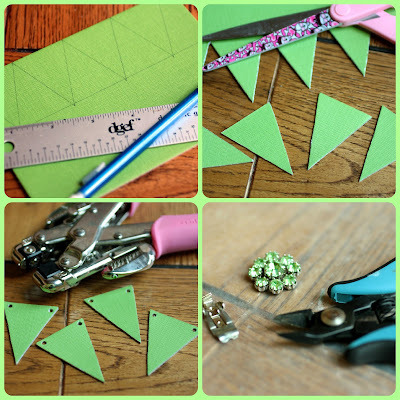 Use a ruler to mark green chipboard into triangles. These are 1.5" wide and 2" long. Cut triangles with sharp scissors. Mark and punch holes in top edges of triangles, I used my Crop-a-dile. Cut the back off of a vintage rhinestone earring, any green sparkly item will work here, even a button or an array of Tulip Glam-it-up crystals! Using aged brass chain, cut it into six link segments, you want them to span the top of your beads. The beads are 20mm emerald green frosted Lucite. 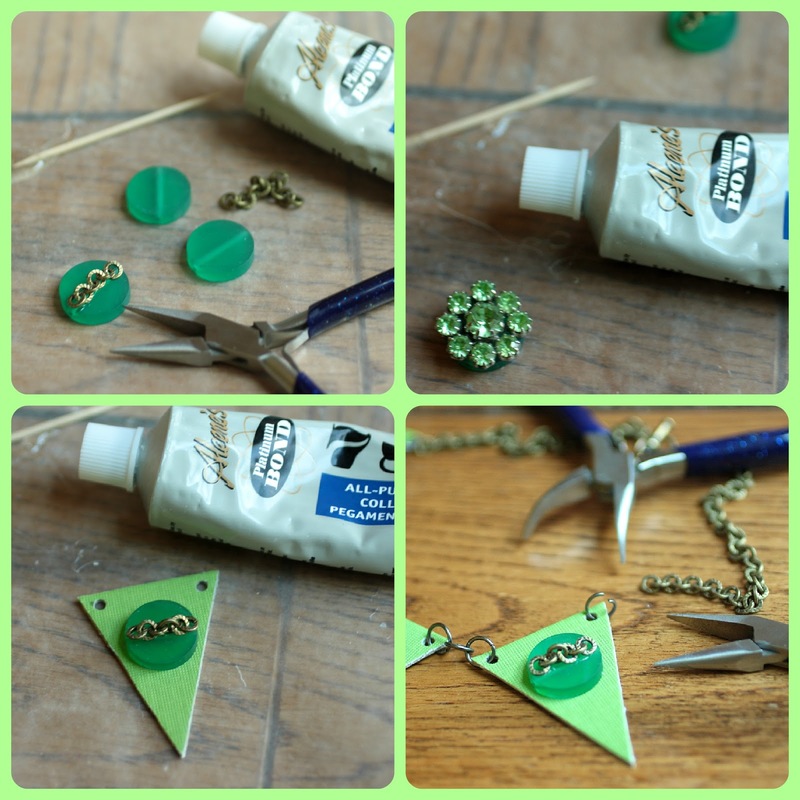 Glue chain and earring to beads using Aleene's 7800 adhesive. Use the same adhesive to attach the beads to the triangle pendants. Attach the triangle pendants together with three 8mm jump rings. Attach 2 5.5" segments of chain to the outermost triangles on the necklace using 8mm jump rings. Attach a clasp to the open ends of your chain, open and close the chain links using chain nose and bent nose pliers.